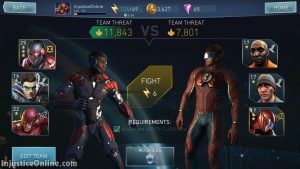 The very first Single Player Injustice 2 Mobile challenge is here. 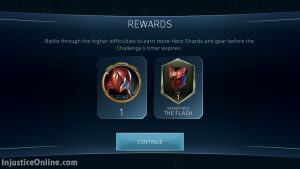 You get the chance to fight for gold Speedforce The Flash character shards and gear. Moving faster than the human eye can track. The Flash cannot be hit while dashing back and forth. 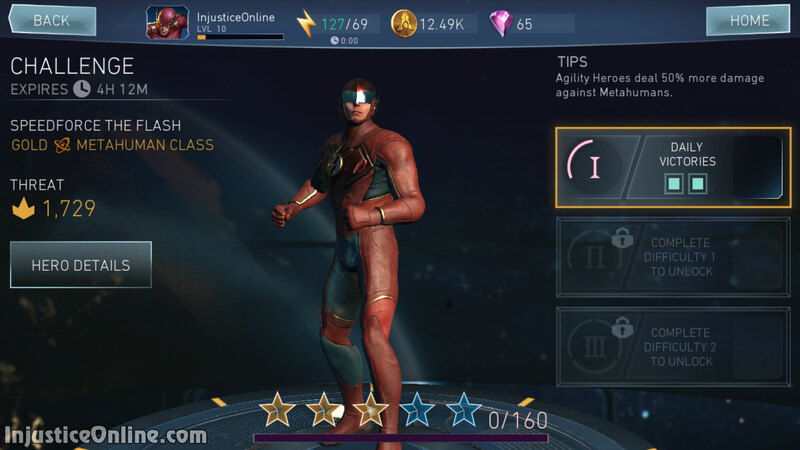 The Flash can also stun opponents with a flurry of kicks. Description: 100% Chance to ignore Damage while attacking with Rush and Evade. +10% Team Fast Attack Chance. To beat this challenge you must have at one, two or three agility class hero on your team, depending on the level you are playing.. This shouldn’t be a problem as several silver agility heroes should be in the teams of every player, even a beginner. Some examples are Black Canary, Robin, Catwoman and Harley Quinn. 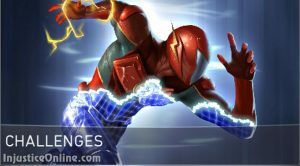 Anti-Metahuman Field: Agility heroes on the player’s team gain a large boost to the damage they deal. 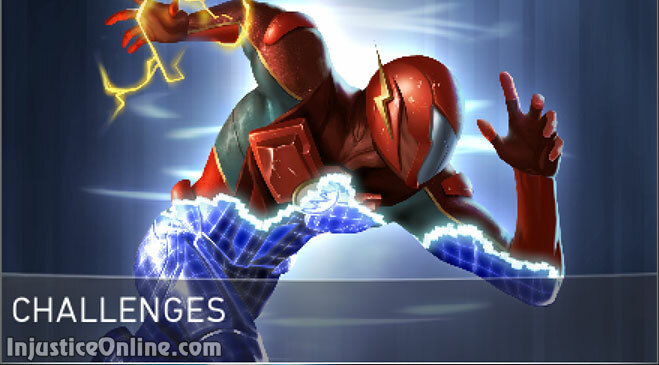 Agility Heroes deal 50% more damage against Metahumans. 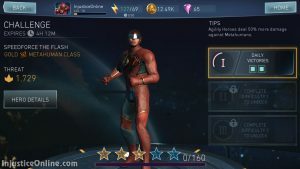 Don’t waste your super meter on the weaker characters. Build up to a super and attack Speedforce The Flash with it. 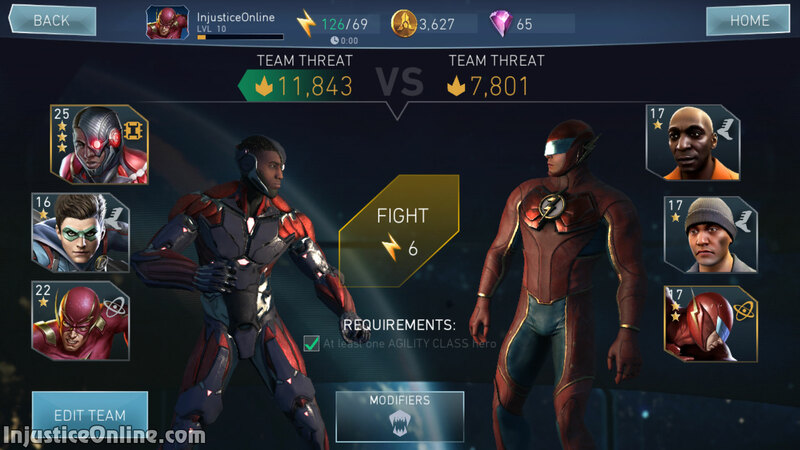 If you have strong agility characters, use only them against Speedforce The Flash. Their increased damage is your best chance again him on level 2 and 3.